"Know what happens to a toad when it gets hit by lightning? Same thing as everything else." A few comments on yours, I'm using spoilers just to be on the safe side. Manni is a petty criminal who wants to be a proper criminal when he grows up. The money is from a drug deal. His first thought for a solution is to rob a supermarket. Because he has a gun and he’s a criminal. Am I being thick or something, but why the hell am I supposed to sympathise with his situation? It seems morally at odds with this fancy Buddhist notion of little things affecting big things and Lola’s Zen like ability to rewind time, narratively speaking (and later, save a heart attack victim by holding his hand). Actually it is very much in tune with it. In the first run, Manni robs the supermarket and the punishment is Lola's death. In the second run, Lola robs the bank and Manni dies. Only in the third run, when she is completely in tune with the universe, does she succeed with everything. Letting Manni get killed and seeing how Lola handles it, with her sense of fate and reason for living, would have been much more interesting. You are missing the point. The movie shows exactly how Lola deals with such a situation. She doesn't let it happen! What did she do? She did get the money. She caused Manni to get the money, because she didn't storm through the nuns, but walked around them, thus bumping into bike guy, etc. In the ambulance, she saves the bank security guard, which is the guy who started the entire game. And look again at the scenes between him and Lola at the bank. I started to reply separately, but actually all these points are linked. I should say that in execution and ideas, I do like the film. It's a fundamental problem I have that essentially made me reverse the rating. By the end, it didn't sit right with me and I was left annoyed, despite the ingenuity of the production and especially the writing. This is the opposite of those rare occasions when you sit through a rather poor film and then in the final act it blossoms. My basic fundamental issue is that Manni is a criminal. I don't like the fact that they do succeed without any concession to that fact. Lola is in tune with the universe... great... but that allows Manni to earn respect from a mobster and the inference is he will continue to rise through the ranks. Hypothetical sequel: would Lola be granted similar tuning if her intentions were to aid Manni get away with murder for his boss? I love the idea of Lola unlocking the correct run of events. And it is so much better than the awful sequence jammed in the middle of The Curious Case of Benjamin Button which shows how difficult it is to pitch this idea. It just feels a bit odd that such a revelation is used so much for personal gain. Is there some irony in the fact he is the embodiment of someone not in tune with society? The fact that both of them are punished in some way by the previous runs, makes it worse. Are we to take from this, that robbing a supermarket or a bank is so terrible, you will die. But drug dealing, gambling and handing guns to desperate tramps is fine? What I meant by letting him die, was actually the plot to let him die and Lola to be frustrated; perhaps until she found the sequence of events to rescue the security guard and then she would realise that this near-stranger just doing his job was more important than Manni. Anyway it's a flippant suggestion that undermines what Zwycker was trying to do, but in a broad sense, I'd have been fascinated by her learning something more substantial. I did appreciate the sequences with the guard. Lola saving his life was unexpected and profound, but the little touches in the previous runs had hinted at something and I really liked the mystery of what he represented. It's just the sort of obtuse writing I like and I wish there was more in general. It's an adult expression in what I otherwise see as a bit childish. This really is a very clever film, but I think you have to be able to sympathise with the situation enough to appreciate it, which I certainly didn't. I also naturally distrust using such a strong fantasy element in a thriller. I know that was the point, but still, I prefer more grounded logic where you can feel it has an irrevocable impact. While it's very hard to make any sort of comparison between the two, I find while we're talking about Run Lola Run, my mind keeps wandering back to The Constant Gardener. I suppose it's because it uses a narrative that goes backwards as well as forwards, as Ralph Fiennes' character has to come to terms with not only his wife's death, but who she actually was and who he was, before he can face the future. I wanted to take something like that away from Lola, but it wasn't there to be had. Well, not for me anyway. Normally I stick to the principle to ether used English titles or use Original titles in the alphabet marathon. I already decided to the former when I watched Warrior King. But, now I want to break the rule and watch Lola rennt, rather than [b]R[/b]un Lola Run since I already did R but still have L available. I remember this film to be a to me. While Jon getting bored with it is "fine" (we perceive different films differently), I don't remember this film being "pro-crime". I'll be more clear after I rewatched, but I thought that Lola was against Manni's criminal activities and that after the end of the film she'll have him become honest again. Apparently Tykwer did not make it strong enough (assuming I remember it correctly anyway). Maybe this is a cultural problem, this being a German film...? Not pro-crime. It just takes it for granted and doesn't proffer an opinion either way. While I stumbled a bit about your first comment regarding your dislike for Manni as a criminal, I wasn't aware how serious an issue the movie's morality (or lack thereof) is for you. I have to say that your argument is a bit too much like the Hays Code for me. When watching a movie, I often can accept characters I would very much avoid in real life. I can even love insufferable characters (there is RGM again). For Manni I only care, because Lola loves him, but probably even without that, Manni being a small-time crook wouldn't bother me. The movie neither questions nor glorifies that; it is his way of getting by. And just for the record, the deal wasn't about drugs, but about diamonds. In fact, in terms of morals, the movie is perfectly neutral. The "punishment" doesn't happen on moral grounds, it is for upsetting the universe, so to speak. Robbing the supermarket or the bank doesn't cross a moral line, but removes all options. In both cases, it was a large enough event with countless witnesses, so the most probable outcome would be to go to jail for it. But instead, the least probable thing happened, fate intervened. Maybe you will enjoy "Der Krieger und die Kaiserin" (The Princess and the Warrior) more. Tykwer made it after Lola, the themes are again fate, chance and love, there is again a sense of fairytale or fantasy as there are elements of a thriller - but it deals with its morally ambiguous/wrong characters "properly". It is a much more conventional movie, but still a pretty great one, even if it is a step backwards, artistically. Franka Potente plays a role that calls back Lola in some ways, but also is strikingly different (and allows to show much more of her talent). It's very difficult to explain! But certainly I'm no supporter of the Hays Code sensibilities. What I look for in any movie is a central truth and a weight of commitment to the characters and the ideas. I don't have a problem with the idea that Manni was a criminal, I have a problem with the fact it was so casual and that in the end, the plot is so self-serving that it didn't matter who he was (the money was a MacGuffin and he could have been anyone really) and in the end nothing has been achieved for his character. You've convinced me there is a bit more to Run Lola Run, but I still think it's inconsequential fluff by the end. I suppose much of it is disappointment because I do enjoy the themes. I'll certainly consider Der Krieger und die Kaiserin. That again is why I keep returning to The Constant Gardener. By the end, Fiennes' character has been irrevocably changed and it makes the story live on. Thirty years following his untimely death, Bruce Lee remains the movies' supreme martial-arts star. His masterful final film Enter the Dragon stands the test of time as the most beloved martial-arts epic in film history. 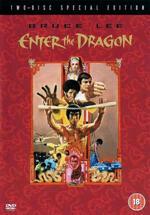 Enter The Dragon is a good film, but far from a great one. Its ace is Bruce Lee in his only American role (he died suddenly even before it was released) and if this is your first experience of his incredible skill, you’re in for a treat. He was an exceptional athlete and a lethal force of nature with singular focus. The fight scenes are frequently jaw dropping (and not even his best). His legacy casts a long shadow. Robert Clouse’s film feels like a Bond knock-off. Lee is taking part in a tournament on an island, hosted by villainous Han (Kien Shih), but has been tasked with gathering evidence of Han’s criminal activities. He meets Roper (John Saxon) and Williams (Jim Kelly), both escaping to the tournament and getting caught up in the intrigue. Saxon and Kelly are great and add a focus point for the Western market. John Saxon at least was no martial artist, though this wasn’t obvious due to smart editing and choreography, but the Chinese cast plus Robert Wall as O’Hara make it authentic. The plot is weak, the acting uneven and direction uninspired, but you can’t beat that cool 70s vibe and there are some cracking lines. The main reason you’ll keep watching is for Lee anyway, who had a huge influence on the production that was destined to be an even more regular action movie. Saxon and Kelly are nice surprises in an otherwise predictable film that pulls its punches when Bruce Lee, Robert Wall, Kien Shih or Angela Mao (playing Bruce’s sister in a flashback) isn’t fighting. It rather suffers from guards who are felled with single punches in a lot of scenes; though Jackie Chan had the honour of having his neck snapped! He was part of the stunt team also featuring Sammo Hung whose portly frame you see fighting Lee in the opening scene. Enter The Dragon was a crash course in martial arts for many Western viewers when first released and even today, it has such a strong reputation that it is frequently the first martial arts movie many see. If that includes you, look up Bruce Lee’s other movies. Sadly there are not enough. Way Of The Dragon and The Big Boss stand out especially. Jackie Chan would pick up Lee’s baton so to speak, albeit with a focus on comedy, so you may already have seen his American movies. You could do a lot worse than finding some of his originals too, like Police Story or Drunken Master. Bruce Lee’s untimely death was a huge tragedy and a great loss to action cinema. Enter The Dragon is merely ok. A three star movie, with a five star legend. We can only wonder at what he would have gone on to do, especially with the support of stars like Steve McQueen. He was as charismatic off-screen as on. When I was a kid, all my friends were into Batman on television, but for me, the Green Hornet was the program. Not for the Green Hornet, but because of his sidekick (no pun intended) Kato. Bruce Lee was so iconic back then, that there was a groundswell of interest in the martial arts because of him. There even was an after shave lotion called Hai Karate. It had the most annoyingly sickening smell to it. I also remember Bruce Lee appearing in an episode or two of Longstreet, an hour-long drama about a blind insurance investigator. I think that was his job anyway. He was as charismatic off-screen as on. I assume you have watched Dragon: The Bruce Lee Story? I enjoyed that one a lot. Got to feel sorry for his wife. Not only did she loose Bruce at an early age, but also her son was taken from her much too early. Have you seen The Constant Gardener? I think that one is much more up your street. In fact, it's so far up your street, it's parked in your drive and knocking on your door. Since you prodded me a few times about this, I should be at least polite and answer: No, I havent. When it came out, I dismissed it as just some John Le Carré thriller, something that doesn't interest me. Then Weisz snubbed the Oscar from Amy Adams. And finally I was underwhelmed by Winterbottom's similarly themed "A Mighty Heart". I did see Dragon a long while ago and it is pretty good, though biased, of course. I bet Linda Lee Cadwell found all the conspiracy theories tough as well, when in all likelihood both deaths were just tragic accidents. lol... appreciated! I'm happy for anyone to talk about it. I was knocked out by it on this second viewing. Keep a look out for it, Matthias, because I'd really like to hear what you think of it, considering your comments. I watched it because I liked thrillers like that, but I expected little from it. It is actually a very human story and there are very few typical thriller conventions with absolutely no set-pieces that I can think of. It opens with a car crash, but only the very end (a tyre spinning and coming to rest in a poetic way). From that first moment it follows the beat of its own drum. I can see why you might think of A Mighty Heart belonging on the same shelf, but it really doesn't. I want to see that film, but it's a true story, probably takes itself a bit serious (Constant Gardener teases you along the way). Even the best reviews seem to find a rather plodding manner to the telling of that story. I remember thinking that I like Rachel Weisz, but Oscar? Really? The woman from The Mummy movies? But she is marvellous and she did earn it. I haven't seen Junebug, so I'm not sure how good Amy Adams was (I'm guessing 'very'? ), but this was such a tough role to balance. She has since gone to prove herself very much a 'proper' actress and I think she probably was all along. Good grief, surely someone else has watched this film? 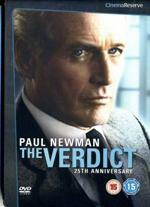 Frank Galvin (Paul Newman) is a boozy washed-up attorney with a losing streak a mile long. So when he is handed a lucrative out-of-court settlement, everyones expects him to take the money and run. But Frank is tired of running. In a desperate bid to reclaim his self-respect, he recklessly brings the case to court - only to discover that if finding the whole truth is a little like trial and error, then finding real justice is a lot like trial by fire. I love a good courtroom drama and The Verdict is one of the best, directed by Sidney Lumet who gave us the definitive 12 Angry Men. While it isn’t overly similar, it is a “Do The Right Thing At Any Cost” sort of story, which runs through several of Lumet’s films, such as Serpico. The modern Grisham court thrillers simply don't compare. What might Paul Newman’s best role be? There are loads of great ones, but you know, this might just be it. I regard this as one of the great film performances of all time; he invests Frank with such weight and he wins you over immediately, even at the start when he is at his most worthless. Every ounce of his being goes into the character and it’s the tiniest things you remember. The subtle weariness, the breaking voice, and always those famous eyes give you a glimpse of what’s left of his spirit, which usually comes to the fore in the banter with the Judge, especially the “Objection!” scene. Milo O’Shea plays him as rather lazy and condescending, yet with great charm and humour. So all he has to do is take that cheque, but something clicks when he sees the comatose girl (beautiful moment as he takes Polaroids, which linger on the screen) and the following scene where he refuses the hospitals money is quietly powerful in his awkward dignity. What can he possibly do in a trial? And so this brings in James Mason as an all-powerful, any means necessary defence lawyer. You’ve probably already assumed what he’s like. I bet you’re wrong! Mason plays him as a cross between an old grandfather and kindly head teacher, who treats his team like family. But blimey! What a delivery, because you don’t doubt for a single second just how ruthless he could be. The weak spot in the film is Laura (Charlotte Rampling), a beautiful mature woman who captures Frank’s imagination. Rampling is excellent and there are a couple of stand-out scenes, but ultimately, I found her character superfluous. Still she adds a haunting note at the end, so I can’t imagine the story without her! As with Otto Preminger's Anatomy of a Murder, I also found the case itself drifts away somewhat and hinges on a slight contrivance. Again, it is unavoidable though, because elements of the trial add an important vein of irony. The story is absolutely Frank’s though and very satisfying. Lumet’s steady direction is married with gorgeous lighting in a natural Autumnal palette, and strikingly realistic. Johnny Mandel's score is fascinating as it is frequently at odds with what is on-screen, occasionally dipping into a horror styling. Just listen when Frank visits Laura and she refuses to be sympathetic, leading to Frank having a mini panic attack in the bathroom (Newman will break you in that moment if he hasn’t already); the music is low and sinister, reminding me of Herrman’s Taxi Driver. Actually, considering the story is about redemption and starts with Frank having almost no humanity left, you might think of this as a Taxi Driver for lawyers. It isn’t abrasive though and you’ll be willing Frank to stay the course. There is a strong sense of faith and religion running through the story of guilt and redemption, from a typically sharp, yet less showy screenplay by David Mamet. It’s not obvious (except that he is taking on a Catholic hospital) and instead simmers with quiet resolve to the expected summation, where Frank is clearly speaking of himself as much as the case. Such scenes are clichés, but certain genres need them and it is fantastic piece of writing, acting and direction as Frank delivers his plea and the films coda, that everyone has a responsibility to justice. I may have made it sound heavy, but remember both Mamet’s and Newman’s unmistakeable style; between the writing and the acting, there’s an smooth wit that makes it very watchable. If anyone sums up the film, it’s James Mason; ambles along and you feel comfortable in his company, but with a razor sharp intellect that can cut you dead!